NBC embarks on its latest musical holiday tradition: a three-hour LIVE event production of the groundbreaking Broadway show that brought Oz to life in a funky sing-along journey down the yellow brick road.Winner of seven Tony Awards, including Best Musical, the original massive Broadway hit spawned a feature film starring Diana Ross and Michael Jackson. Now, an award-winning creative team, the imaginative Cirque du Soleil Theatrical and a diverse cast of showstoppers create an eye-popping new take unlike anything ever seen. I am not sure if I am more excited to see Mary J Blige and how she is going to bring the grandstanding of Evillene or the special acrobatic effects by Cirque du Soleil. 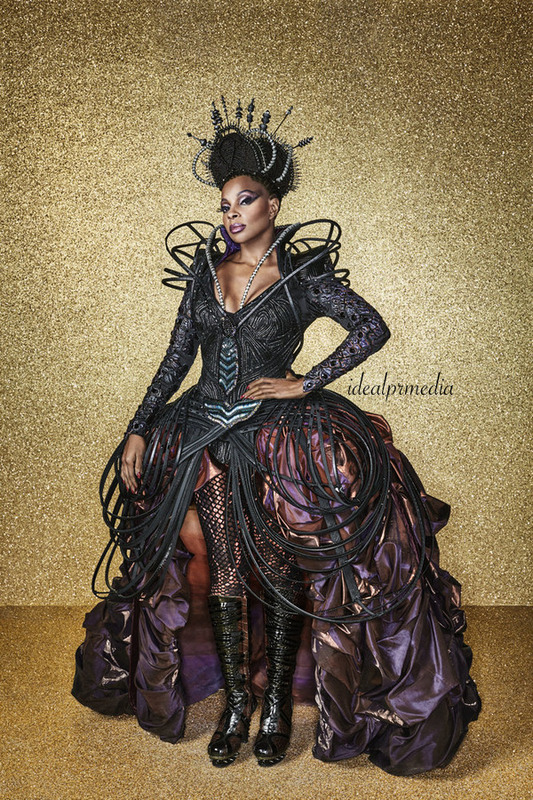 Having Queen Latifah as The Wizard will be interesting! I already know Ne-Yo is going to give us a great tin man with his smooth moves. It is exciting to see how the "Live" performance turns out...there are no retakes, no cuts and no voice overs. So we shall see just how fierce this noteworthy cast performs! If you miss it live on December 3rd from 8PM-11PM EST, you can catch the reprise telecast on Saturday Dec 19th from 8PM-11PM EST.